When a patient first consults me I ask lots of questions, some of which may seem off-topic, but together they give me a picture of their internal landscape and from there the detective work begins. Sometimes I manage to spot something very simple that may be getting in the way of conceiving and an example of this is a luteal phase defect. Your luteal phase is the time from ovulation until your period starts. A normal luteal phase should be 14 days which gives a fertilized egg enough time to implant and start to signal to your body that it’s there. A luteal phase lasting less than 12 days is too short for this to happen and the uterine lining begins to slough off before a fertilized egg has had a chance to implant and initiate the hormonal changes necessary to sustain a pregnancy. This is a common endocrine disorder and is present in many of the women I see who are having trouble conceiving. Researchers estimate that more than 1/3 of women who are suffering from early pregnancy loss have a luteal phase disorder. Another indicator of a luteal phase defect is low progesterone in the second half of the cycle. It’s possible to have a completely normal 14 day luteal phase and still have low progesterone levels which mean that the endometrium can’t develop and function properly and a fertilized egg will have problems implanting and being sustained. A short luteal phase or spotting before your period could be a sign of low progesterone and it is a good idea to contact your doctor for further testing. 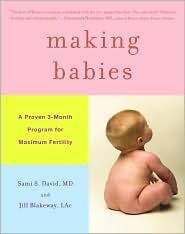 In our book Making Babies: A Proven 3-Month Program for Maximum Fertility Dr. David suggested the following tests for women who think they may be suffering from luteal phase defect. Testing serial progesterone levels during a single cycle – 7, 9 and 11 days after ovulation. If progesterone levels are low your doctor may prescribe supplemental progesterone or a follicle stimulating drug in the follicular phase on the grounds that a strong follicular phase can lead to higher progesterone in the luteal phase. In Chinese medicine we interpret luteal phase defect as an imbalance of the whole cycle, not just the luteal phase. Western medicine recognizes this too which is why doctors sometimes combine intervention in the luteal phase (progesterone supplementation) with support in the follicular phase (clomid). The luteal phase is governed by yang energy, which develops from yin energy which is dominant in the follicular phase. The transformation of yin to yang happens through the movement of qi and blood at ovulation. An interruption in the flow at any point in the cycle can show up as a luteal phase defect. This is where the detective work comes in and as an acupuncturist I try to identify the root cause of the problem as I make my Chinese diagnosis. Too little yin in the first half of the cycle can lead to too little yang in the second half of the cycle. This would be termed yin and/or blood deficiency in Chinese medicine. Too little yang can affect both the hormone transition at ovulation and the quality of the luteal phase. this would be termed yang and/or qi deficiency in Chinese medicine. Based on these different diagnoses I adapt my acupuncture treatments and create a specially tailored herbal formula for each patient, which along with any treatment suggested by the patient’s doctor can significantly improve or correct a luteal phase defect. Often all it takes for conception to occur is bit of detective work combined with Eastern and Western medicine working together to correct a small but significant imbalance. Then before I know it I’m waking up to baby pictures on Facebook and the satisfaction of seeing another patient become a Mom.